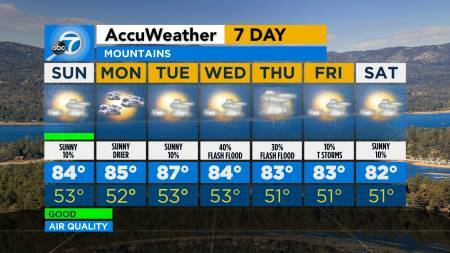 Expect cool weather conditions across the Southland on Easter Sunday. 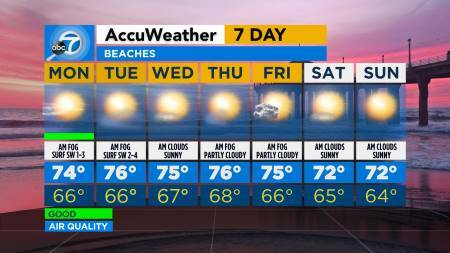 LOS ANGELES (KABC) -- Easter Sunday will be breezy and cool for Southern Californians spending the day outside to celebrate the holiday. 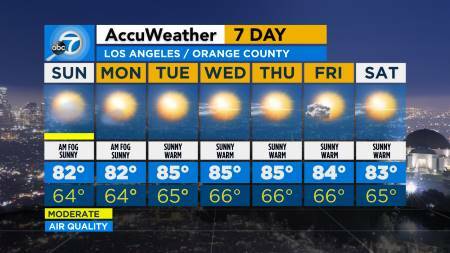 Los Angeles and Orange counties will be cloudy with mild temperatures in the upper 60s. Expect a low of 56 degrees. 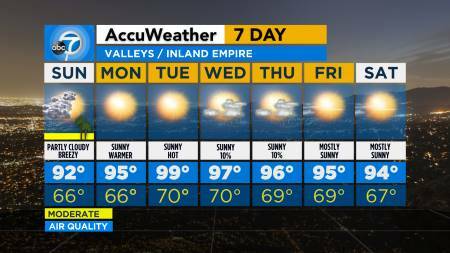 Valleys and Inland Empire regions should experience breezy conditions with a high of 70 degrees. Beaches are expected to get morning drizzle and a high temperature of 66 degrees. Swells should reach between 2 to 4 feet. Mountains could see 40 mph winds with a high of 56 and low of 35 degrees. 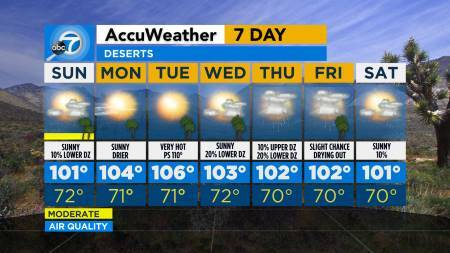 Desert areas will also be windy with 45 mph gusts. Expect high temperatures in the low 70s. Download the ABC7 app for weather alerts: Click here for iOS devices | click here for Android devices. If you have the app, turn on push notifications and personalize the app. Click on My News from the bottom menu, then star the topics you'd like to follow and tap Done. Download the free Accuweather app for iPhone and Android devices.